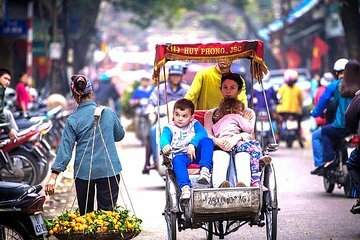 Benefit from personalized attention and a flexible itinerary on this private tour of Hanoi. With a dedicated guide leading you through the city, you'll follow an itinerary that is carefully curated to make sure you don't miss any of the must-see attractions. Highlights include the bustling Old Quarter, the Ho Chi Minh Mausoleum, and either a cyclo ride or a water puppet show.